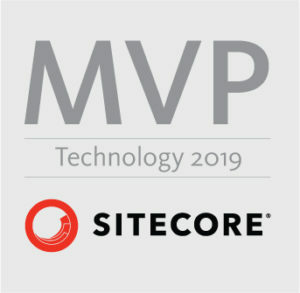 All Sitecore developers know, that waiting for Sitecore load can be very annoying – especially when we do not have time. In this post I’ve written about some tricks – but remember, they should NOT be used on the production environment. In simple words – everytime when you changing some code which has some references (let say inside class) all dll files should be recompiled and this process in bigger applications (like Sitecore) takes a lot of time. So we can decide to compile only changed parts. You can also consider to use RAMDisk (example of software : click) for your compilation temporary files. Pros of this feature you will see especially when you have old HDD rather than SDD. Counters store an information about number of different activities. They can be very useful but if you at particular moment do not need them, you can just turn off them (patch of course would be better). You can do it by yourself or use SIM “Configuration – Sitecore 8 – Development – Initialize Speed Booster” (here you can find configuration file: click). Prefetch cache is the basic cache for production environment so it is good to allocate as mach memory as it is possible for it. But what is good for production environment, not always also good for development environment. Bigger prefetch cache also means longer Sitecore starting process. You can change files inside App_Config/Prefetch/ directory. Decrease size of cache in “configuration/cacheSize” nodes and numer of children in “configuration/childLimit”. Sitecore SPEAK has defined pipelines which precompile the SPEAK files. If they will not be compiled on start, they will be compiled during the page loading. So it easy to decide to disable precompile pipelines on developer machine. You can also change this from IIS and pool advanced configuration. This setting makes your website always ready to display. By default your iis terminate applications which are not in use for defined time. But when you are working on your application you definitely want to have your application ready all the time. Then go to the website advanced configuration (also in IIS) and change “Connection Time-out” to 0. Restart IIS and your environment is ready. You can disable some event queues because they are not required for developers use. You can do it by yourself or use SIM “Configuration – Sitecore 8 – Development – Disable Event Queue” (here you can find configuration file: click). If you have other tips, please share them in comments – i will update post.